The New York State Department of Environmental Conservation (DEC) today reminded New Yorkers to take steps to prevent bears from easily accessing food sources like bird feeders and garbage. Due to poor natural food availability last fall, many black bears went into their dens with low-fat reserves and as they begin to emerge from winter dens, have already begun seeking out food sources around homes. 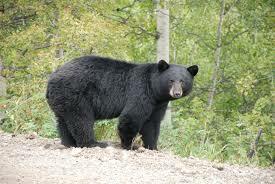 For more information about how to reduce human/bear conflicts, visit DEC’s website.